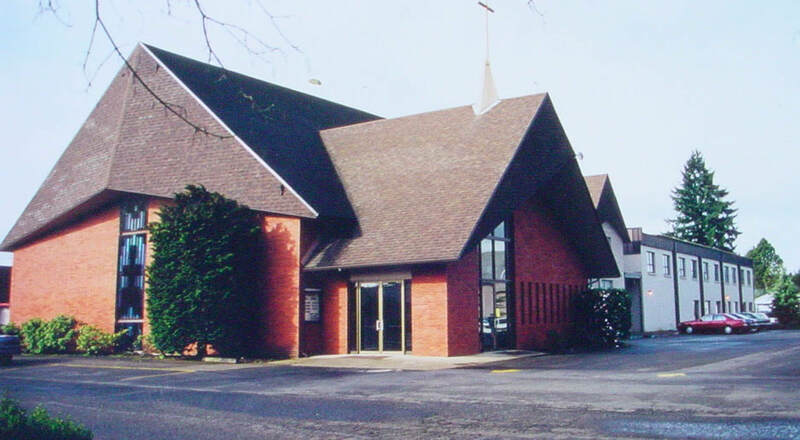 The Senior Pastor will be responsible for the overall spiritual life of Evangelical Bible Church. His specific job is to preach and teach the Word of God in providing inspirational direction to the people of EBC. He will work with the Governing Board of Elders and the congregation by providing leadership as they seek to accomplish the purpose, mission, and vision of EBC. EBC of Dallas had its beginnings in 1912. Our congregation is multi-generational, has a small town flavor and is generally spiritually mature with strong Bible knowledge. We are a church with a total average attendance of 337 in our two morning worship services offering both a contemporary service, a traditional service, and a Sunday evening service. We average 206 in Sunday school for adults, teens and children. We have youth groups for both middle school and high school that meet under the direction of our full-time Youth Pastor. A recent completion of a youth center building demonstrates our commitment to the young people in our area. We offer MOPS (Mothers of Pre-schoolers) and AWANA programs serving our church and the community. We are a church that is monetarily generous, financially strong and supportive of our many missionaries. EBC is an autonomous church affiliated with the Fellowship of Evangelical Bible Churches (https://www.fellowshipforward.org). ​Serve as the spiritual leader of the church. Be in agreement with our Statement of Faith. Provide leadership as the church seeks to live out its purpose, mission and vision. Instill a Christian worldview in our people so we can reflect Christ in the community. Be responsible for the regular Bible teaching and preaching ministry of the church. Conduct weddings, funerals, and baptisms according to the doctrinal commitments of our church. Serve as a leader by example in personal discipleship, stewardship, and evangelism. Meet with the Governing Board of Elders on a regular basis to report on the spiritual, organizational, and financial health of the congregation. Perform visitation ministries in conjunction with the Governing Board of Elders. Ensure ongoing ministry to the members of the church as they progress through the stages of life. Develop relationships with other churches and organizations in our community consistent with our church’s mission and values. When needed, counsel members and families on how to live biblical, faithful lives. Officiate the Lord’s Supper/Communion on a regular basis. Forge relationships with the congregation. Build relationships and understanding of the church team before bringing change and direction. Bring a freshness and revitalization to the congregation. Provide solid, biblical instruction for our church family. Encourage a small group program under the direction of the Governing Board of Elders. Be competent with modern technology and understand appropriate boundaries. The ideal candidate preferably will have a minimum of 10 years of pastoral experience. Preferably a degree from an evangelical seminary. Minimum education of a college or university degree oriented to pastoral ministry or Biblical studies. A life in harmony with the biblical requirements for leaders ((I Tim. 3:1-13; 2 Tim. 2; Titus 1:5-9). Is gifted in teaching and preaching biblically based, relevant, practical messages. Is a good communicator, and is able to present hard truth in a loving manner. Has a heart for people, caring, warm, compassionate, friendly and visits freely. Disciplined in all aspects of life (studies, finances, family relationships, etc). Responsive to the needs of the church and community. Has a passion for missions, reaching the lost. Has the ability to relate to a multi-generational membership. Able to clear all necessary background checks. The City of Dallas (2017 population 16,301) is the county seat of Polk County, located 15 miles west of Salem, the state capital. Dallas is a family oriented, safe community and offers small-town charm, beautiful city parks, an aquatic center, and both public and private Christian schools. We are strategically located between the beautiful Oregon coast (45 miles west) and the Cascade Range and High Desert of Central Oregon (100+ miles to the east). Our thriving community is a simple commute to Salem, which offers shopping and cultural entertainment. Dallas is serviced by a small local hospital which is affiliated with a larger regional hospital located in Salem. The community is proud of the Weekday School of the Bible, which is a release time program for Bible instruction and application for all public school students. Anglos represent approximately 88 percent of the population, with a small growing Hispanic community that account for 7 percent.